Selection procedure for NDA and Naval Academy is done through UPSC (Union Public Service Commission) under broadly two stages. Candidates will have to appear for the written examination. The written examination will be of 900 marks comprising of Mathematics and General Ability Test (GAT). The duration of the test will be 2.5 hrs each. The questions in all the subject will comprise of objective type questions and is to be answered in OMR sheets. The candidates qualifying the written examination will be called for SSB interview for Psychological Aptitude Test and Intelligence or Personality test. All the candidates will be put to stage one test on the first day of reporting at Selection Centres/Air Force Selection Boards/Naval Selection Boards. Only those candidates who qualify at stage one will be admitted to the second stage/remaining tests. To be acceptable, candidates for the Army/Navy/Naval Academy and Air Force should secure the minimum qualifying marks separately in (i) Written examination as fixed by the Commission at their discretion and (ii) Officer Potentiality Test as fixed by the Services Selection Board at their discretion. Over and above candidates for the Air Force, and all the SSB qualified candidates as per their willingness, eligibility and preference for Air Force, should separately qualify the PABT. All successful candidates need to go for a comprehensive medical test after the SSB process. Cadets Academy provides both written and SSB coaching for NDA exam and Naval Academy entrance exam. The Indian Navy (IN; Bhāratīya Nau Senā) is the naval branch of the Indian Armed Forces. The President of India is the Supreme Commander of the Indian Navy. 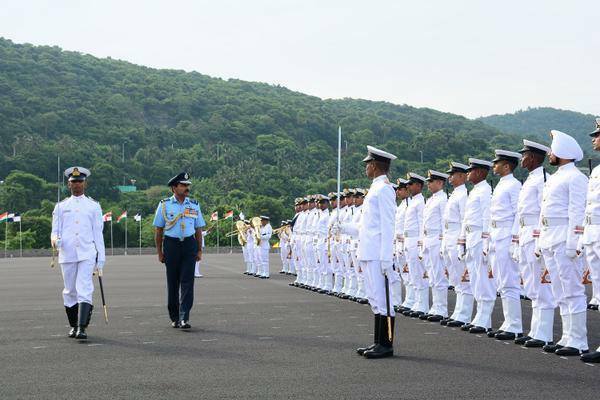 The Chief of Naval Staff, a four-star Admiral, commands the navy. The Indian Navy traces its origins back to the East India Company's Marine which was founded in 1612 to protect British merchant shipping in the region. In 1793, the East India Company established its rule over eastern part of the Indian subcontinent i.e. Bengal, but it was not until 1830 that the colonial navy was titled as Her Majesty's Indian Navy. When India became a republic in 1950, the Royal Indian Navy as it had been named since 1934 was renamed to Indian Navy.